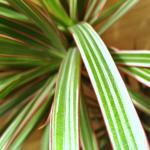 Dracaena marginata ‘bicolor’ is a special variety of dragon plant. Its bright to deep green leaves are lined with a thin, elegant strand of bordeaux red encasing several bands of green and yellow. 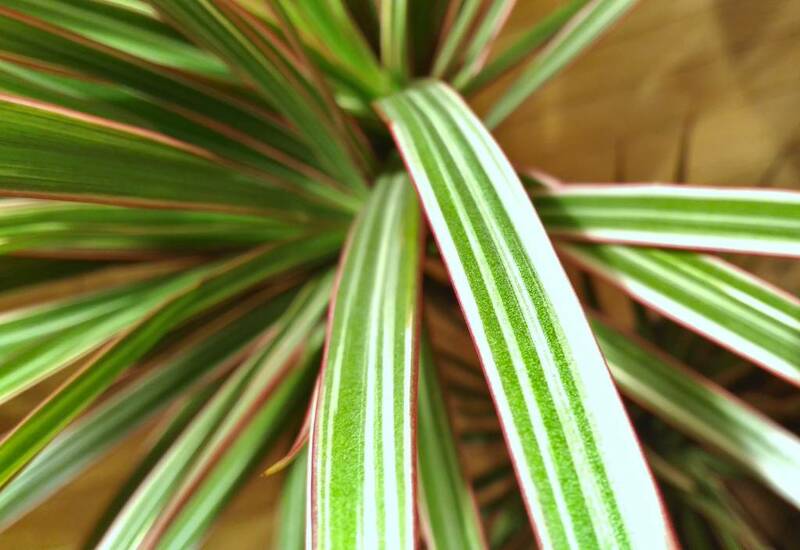 Just like other varieties of Dracaena marginata, the ‘bicolor’ variety can be grown indoors in containers all year round. It can survive outdoors and in the ground only in places where temperatures never drop below the 60°s Fahrenheit (17° C). You’ll need to provide fresh nutrients every two or three years in the form of new soil mix. You can either repot your dracaena or topdress it. Soil quality isn’t so important because nutrients will always seep in from further off, but what is important is to ensure your Dracaena marginata bicolor doesn’t stay steeped in clay, waterlogged soil. It’s important to ensure proper drainage. Dracaena marginata bicolor is a special variety in that it tends to keep its leaves for longer than other D. marginata varieties. For this, it needs to be watered according to its ideal cycle: once a week (every 5 to 7 days to be accurate). Watering your marginata bicolor weekly and ensuring that excess water drains out fully ensures it will keep its leaves for longer. The slightest water stress will trigger the usual Dracaena marginata coping: stop of growth and leaf loss. Watering is a prime concern. Although this plant is quite resistant to drought and lack of water, forgetting about the plant for weeks on end won’t help it. Dracaena marginata bicolor does not respond well to overwatering. You’ll be experiencing Dracaena yellow leaves before you know it. Cuttings is by far the simplest manner of reproducing your favorite Dracaena marginata bicolor. select the “branch” you’re going to “sacrifice” for this. Usually, a cutting needs to be about one foot (30 cm) long, but you can shorten it to as much as just 3 inches (7.5 cm) or make it longer. The mother Dracaena marginata bicolor will grow new leaves from nodes near the tip of the cut, it’ll branch out nicely. Place the cutting in a glass of water, leafy head upwards. Ensure the stem is immersed by about 2-3 inches (5-8 cm). If you’ve cut more than one cutting from the stem, mark the “top” of each leafless stem with a piece of yarn or a ribbon. Roots will sprout from nodes in the immersed area, while leaves will start sprouting from nodes near the tip. When roots reach an inch (2.5 cm) in length, the cutting can be transferred to a pot with fresh, clean soil mix. Making cuttings is the surest way to replicate your Dracaena marginata bicolor with the exact same properties as the mother plant. In effect, it is a form of cloning. Lack of light – D. marginata bicolor needs full sun. Place it where it can have more light, like a window facing towards the midday sun. Underwatering – leaves will fall off from bottom to top in case of underwatering. Set a reminder in your calendar for a weekly watering session, or work it into your weekly routine. Overwatering – leaves will die off more or less along the entire plant. Usually this is a sign of root rot. 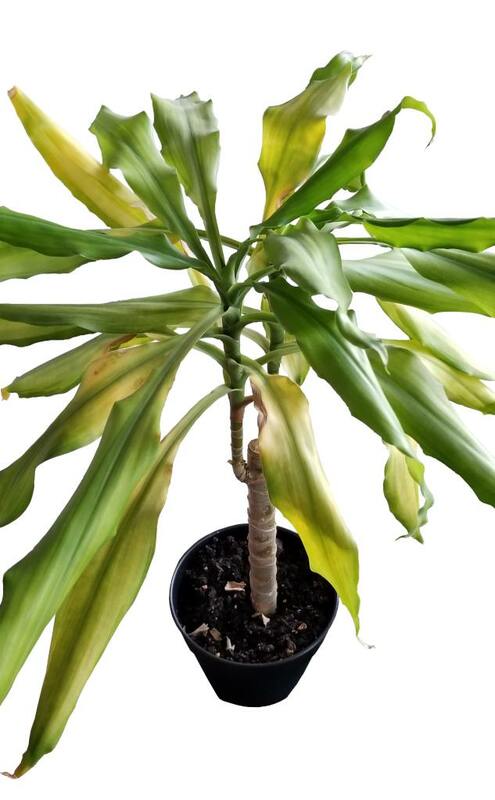 Emergency care for these yellowing dracaena leaves is to stop watering for ten to fifteen consecutive days, and replace the pot to something that drains really well. If you’re prone to visiting your plants with water daily, simply switch the water saucer of your Dracaena marginata ‘bicolor’ pot for a tray with clay pebbles, and rest the pot atop it. Water the pot itself only once a week, and satisfy the urge of watering on other days by dousing water on the clay pebbles. The water will evaporate, creating air moisture that is perfect for your Dracaena marginata, without drowning it. Cold – temperatures around your Dracaena marginata bicolor should always hover above 65°F or 18°C. Place it in a warmer place that isn’t near colder corridors and hallways. This might be a case of red spider mites, if you’ve already ascertained that the plant isn’t overwatered. 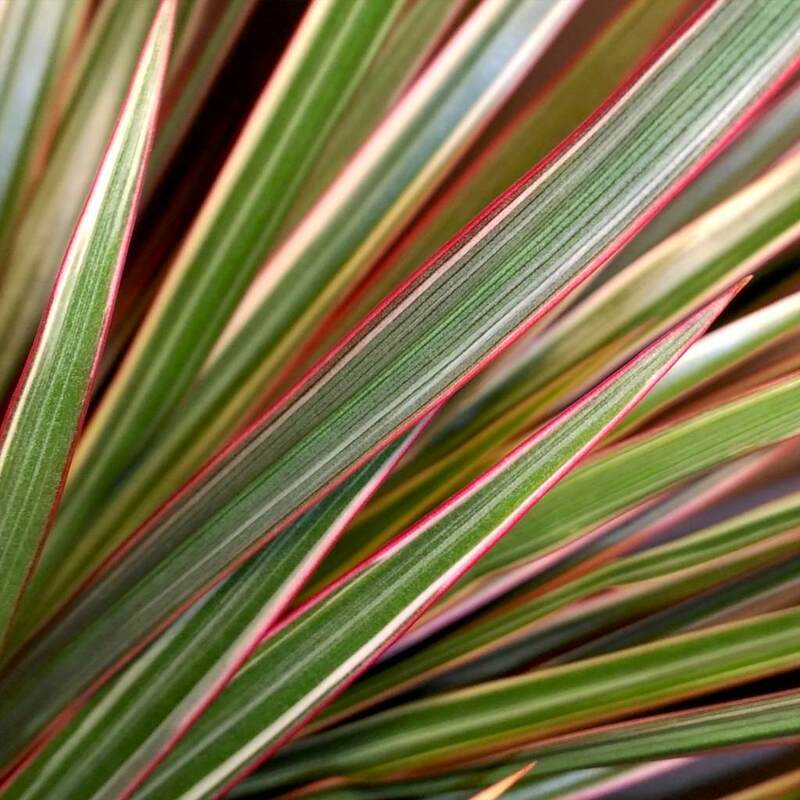 The ‘bicolor’ Dracaena marginata variety has a distinctive thin red margin to each side of the leaves, and one or more pale yellow bands alternating with green. It has slightly less green chlorophyll in these portions of the leaves, which means it won’t be as vigorous as other all-green D. marginata cultivars. 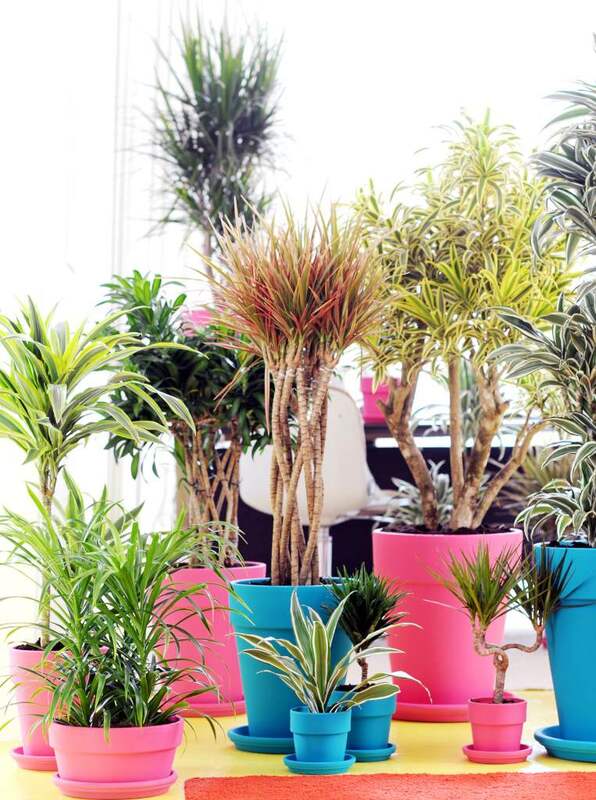 However, it will still be more vigorous than the Dracaena marginata ‘Colorama’ and ‘Tricolor’ varieties, which have even less sun-processing chlorophyll cells and require even more light. Like most Dracaena plants, Dracaena marginata ‘bicolor’ is grown in tropical countries like Costa Rica and other places along the Caribbean. The perfect temperature and moisture settings of those regions make it easier to have large plantations from which scores of cuttings are taken and rooted for export. Such imports are occasionally infected with local pests which then trigger diseases on Dracaena marginata ‘bicolor’ and other houseplants, like scale insects or mealy bugs, spider mite and more. In tropical countries, Dracaena marginata often grows in the wild, whether in its native habitat or because it was introduced there. In the wild, Dracaena marginata can grow very tall. If you’ve got several varieties of Dracaena marginata growing together, place other, less green varieties closer to full light and leave the Dracaena marginata bicolor at a slight disadvantage. Since it’s more vigorous, you’ll be evening growth out between varieties. All photos and edits by Gaspard Lorthiois, own work. Why does my dracaena have yellow leaves?